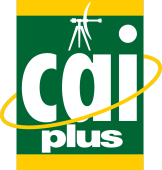 The CAI are the recognised body for the aerial and satellite industry committed to raising Standards within the industry and whilst the criteria for membership is extremely high, the consumer is assured of a quality installation. One of the many membership requirements is that any installing member company will agree to the examination and test of any equipment manufactured or supplied. Also required is the inspection of any installation or investigation into conduct which could have a detrimental effect on the reputation of the CAI or its Members.